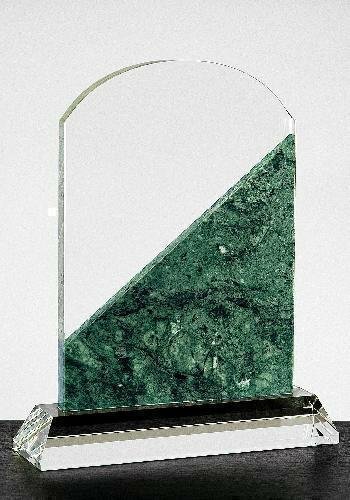 These Crystal Oval Golf awards come with a matching crystal base and are ideal to recognize the ultimate in golf achievement. 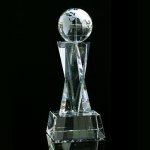 A silver golf ball complete with dimples at the top of the oval provides a unique look while the bevel cut pattern around the outside of the oval shape adds another dimension to these awards. 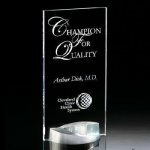 With a choice of 2 sizes, 9" X 6" X 1 3/4 and 10" X 7" X 1 3/4" either size has plenty of area for your personalization needs. All crystal awards can be lasered or sandblasted for personalization. A handsome blue presentation box is also included with these items. Imagine the expression of the person when they see their name on one of these impressive awards. 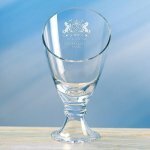 Oval Golf 9" X 6" X 1 3/4"
A splendid trophy vase, our Andover Trophy has a classic yet contemporary feel. 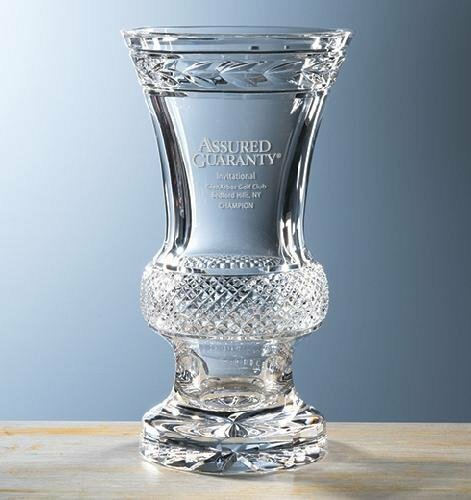 This beautiful piece is handcrafted in 24% full lead crystal and features intricate hand cutting. Available in three sizes and packaged in an attractive gift box. 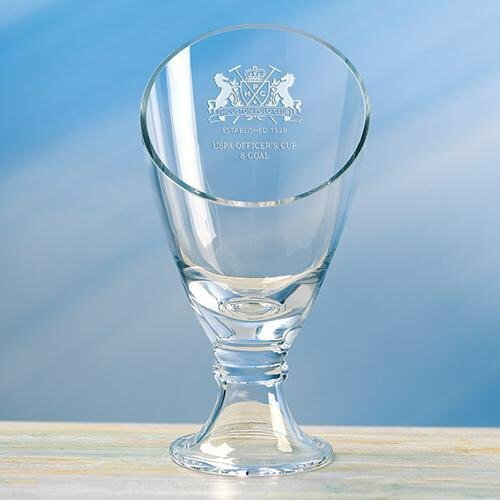 Mouthblown by skilled European artisans and featuring cutting edge design with ample room for etching your company logo or recognition message. Available in two sizes.